Three years ago, while spending ten days at Canada’s Trent University as a writer-in-residence, I brought along a notebook to start jotting down some ideas. It was time to try something a little different. My nine previous novels had been standalone thrillers (okay, No Safe House was a seven-years-later follow-up to No Time for Goodbye), but in the fall of 2013 I was thinking of ways to up my game. I decided to write three linked novels. A trilogy, I suppose, but maybe not a traditional one. The first two novels would largely be standalones, but there would be another story percolating in the background. In book three, that backstory would take over. But before I could write word one of that first book, I needed to know what that overarching story would be. It had to be something BIG. I figured out what it would be. And now, three years later, readers will finally find out what it is. As a quick reminder, first there was Broken Promise, then Far From True, and now The Twenty-Three. Aptly named, I think, given what has happened in the two previous books. As The Twenty-Three opens, on the 23rd of May, something will happen that will make all those other incidents seem positively timid. It’s so exciting for me – and readers, too, I hope – to see the final book released. Folks who have read books one and two are going to have all their questions answered. I think they’re going to be blown away. Those who have not yet explored these books will have the opportunity to “binge” read them back-to-back! If you want to get caught up before the release of book three, good news. 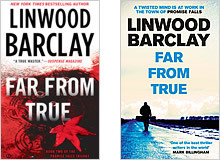 Far From True has just been released in paperback in the UK, and will be out in a mass market paperback edition in Canada and the U.S. on 4 October. 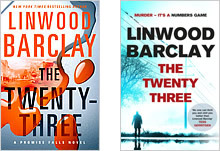 For those in North America, that gives you nearly a month to get up to speed by reading the first two books. 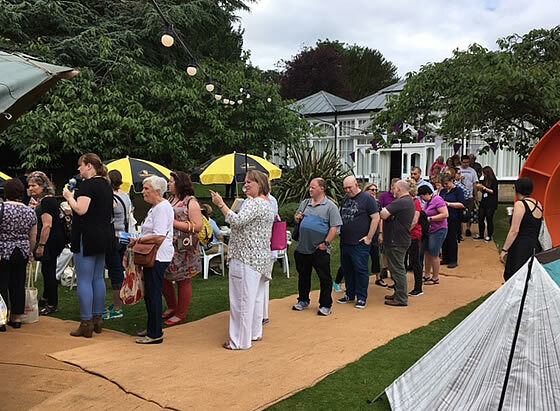 UK readers, the binge awaits you! Broken Promise, the first book in the trilogy, has been in paperback since the spring. Chase, my first of at least two thrillers for younger readers, will be out in July 2017. This is a book that I started writing more than three years ago, but had to put aside when I became busy with other deadlines. My wife, Neetha, a former kindergarten teacher, kept telling me that I had to write this novel, which is aimed at the “middle-grade” audience, which is kids aged roughly 8-12. (Although, the first three people to read the book were my age or older, and they couldn’t put it down.) Neetha said the story would appeal to all kids, but especially boys, who can be reluctant readers. I sum up Chase like this: Think The Bourne Identity, but the hero is a dog. In Chase, it’s a dog named Chipper, the creation of a secret organization – the Institute – that is melding animals with sophisticated software for use in espionage-type activities. The problem with Chipper is that his canine side often overtakes his computer side, meaning he’d rather run after a squirrel than a bad guy. When the Institute decides to put him down, Chipper escapes. That was some summer . . . 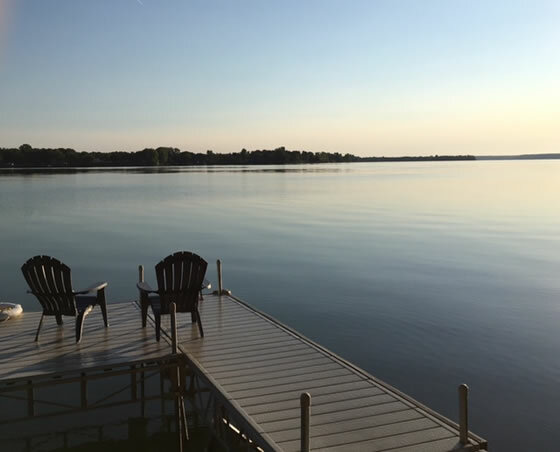 The summer may have ended calmly, as this shot taken from the dock of our getaway place shows, but it was a busy one. 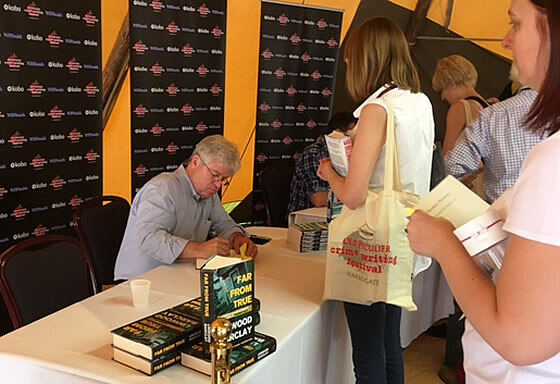 In July I was in New York for ThrillerFest, and shortly after our return from there, I was off on a tour in England that included stops in London, Nottingham, Liverpool, Manchester, and finishing in Harrogate, for the Theakston’s Old Peculier Crime Writing Festival. 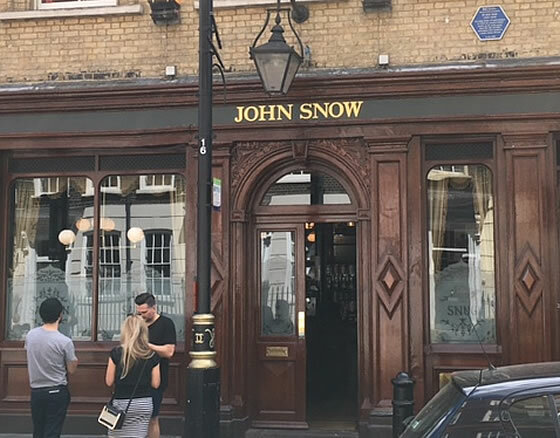 The Soho pub I saw while on tour. The City of Mirrors by Justin Cronin: Epic. Grunt by Mary Roach: A fascinating and often funny book about the science behind being a soldier. Cape Fear by John D. MacDonald: A classic thriller. Before the Fall by Noah Hawley: Propulsive read, nice writing, but I would have liked a bigger payoff at the end. Dark Road a play by Ian Rankin and Mark Thomson: I would love to see this performed. The Couple Next Door by Shari Lapena: A terrific debut thriller that is hitting bestseller lists everywhere. Razor Girl by Carl Hiaasen: The latest, craziest satirical thriller by the Florida author and journalist. I’ll be interviewing Carl on 20 September in Toronto to talk about his new novel, Razor Girl. More information and tickets from Toronto Public Library. 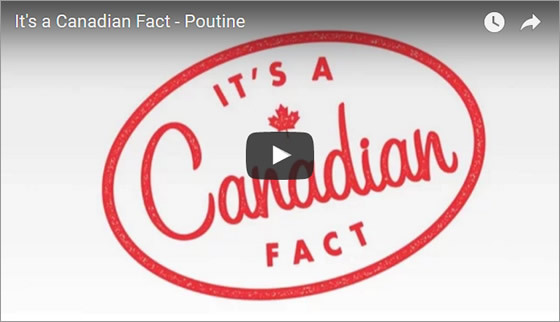 Okay, this has nothing to do with me, but I just want to share this mock documentary on poutine – and if you don’t know what that is, shame on you – that our son Spencer Barclay worked on for Penguin Random House Canada. It’s hilarious. It might even make you hungry. Blue Heron Books, Uxbridge, Ontario. Check Blue Heron Books for details as they become available.